FREE Green Mountain Organics K-Cup Pod Sample Pack! You are here: Home / FREEbies / FREE Green Mountain Organics K-Cup Pod Sample Pack! 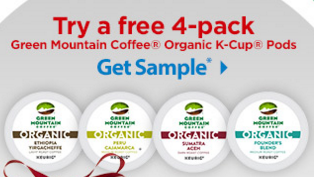 While they last, get your FREE Green Mountain Organics K-Cup Pod Sample Pack from Walmart!